As a first-time home owner, I received advice to buy things that you really LOVE because those items will be part of your home for even longer than you think! 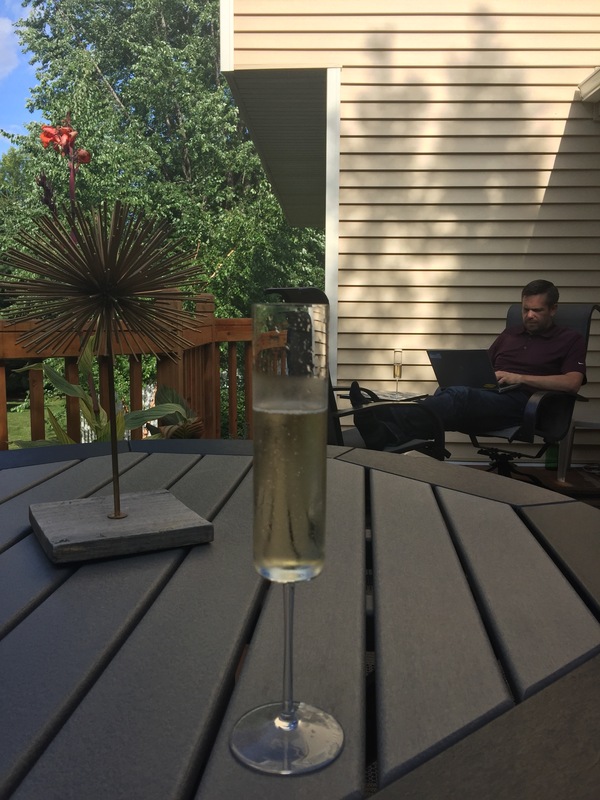 So once Spring came this year, my husband and I knew that we wanted to invest into a long-lasting outdoor patio furniture. We could have went with the packaged set from our local super store and kept the entire set under $400, but we were determined to find a set we LOVE. 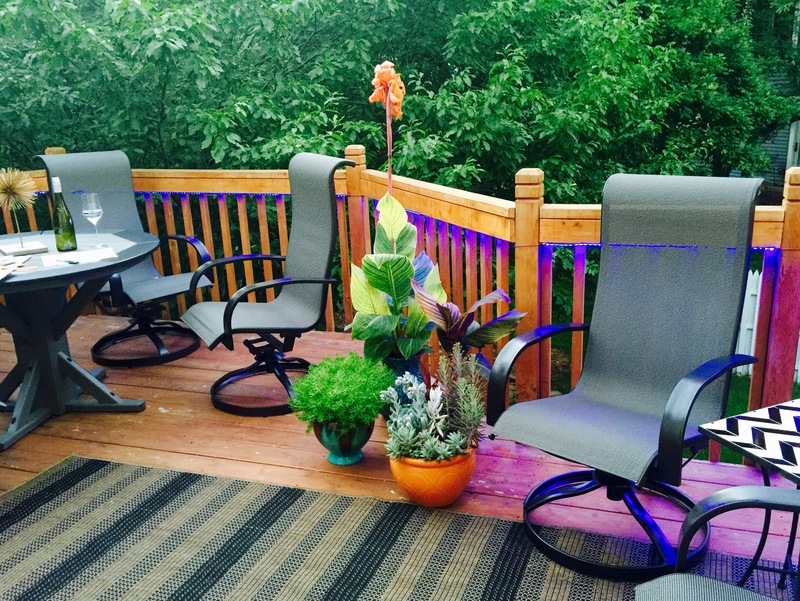 Our deck is like a little treehouse nestled into a cozy Eden Prairie neighborhood. There are no stairs leading up to the deck from our yard, so this table would have to be assembled on the deck or lifted above the rail around the back of the house. We decided to go with By The Yard, from the small town of Jordan MN, where they have the process of taking recycled milk jugs and making the material into outdoor furniture that out-stands the hot sun, snow and the outdoor life of Minnesota! We chose black for the table edges and a dark gray base, so that would also resistant any dirt—30 years is a long time to have a table folks! We now have Maintenance free Outdoor Furniture made from recycled plastic milk jugs! Just a few months later, right in the middle of our perfect Summer, we noticed a few grooved edge marks on the table top and base. 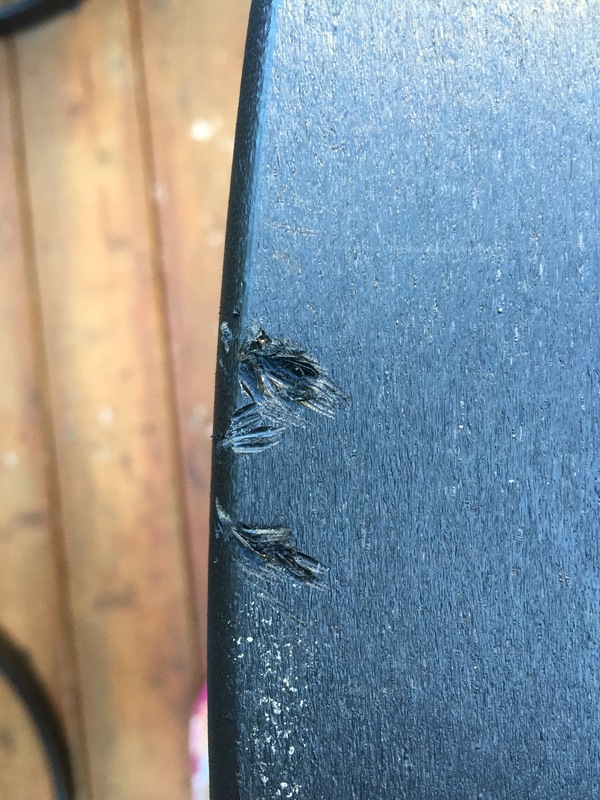 Then realized just days later that our $600+ table was a sharpening tool for our neighborhood squirrels! This was a big surprise to us. We began to look through our many brochures and the online reviews again. Were we missing something? Was there a warning about animals or even preventative methods of stirring away animals to not chew on the furniture? This innovative company even has a furniture test program—so they lead you to believe that they stand-by their product. By The Yard also states that over the 18 years…only 4 returns have been made too. 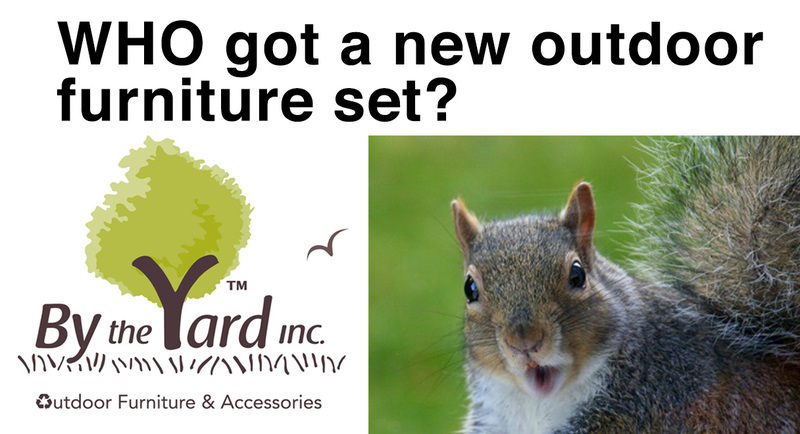 We were under educated on this whole squirrel thing and can’t believe the customer service we have received to date. I would have hoped there would be additional planning for these inquiries, we were prepared to prove we didn’t have squirrels anymore (which we don’t for 2 weeks now) and the company would replace or refund our experience in some way. We bought our table at the Eden Prairie Bachman‘s, as it is also a trustworthy supplier of the latest and greatest outdoor and indoor accessories. 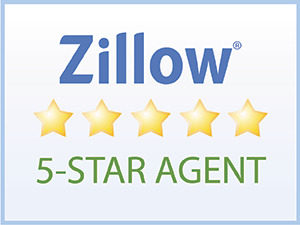 We also have a request out to them and they are working with their buyer to try to resolve the issue. [UDPATE SINCE ORIGINAL PUBLISH DATE] We spoke with Bachman’s buyer and after they discussed internally and even tried to learn more themselves, Bachman’s proposed a $100 Bachman’s gift card because of the bad experience with By The Yard table. 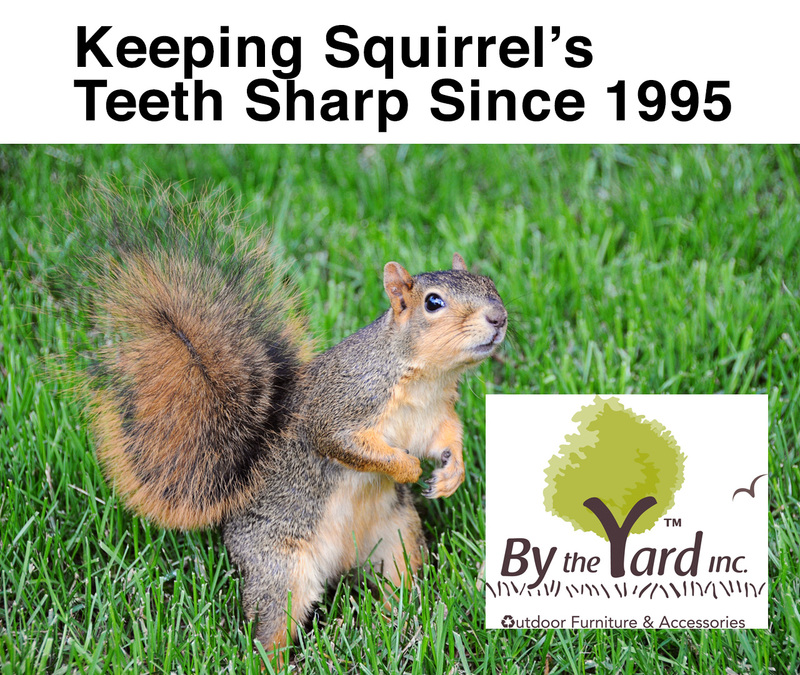 They wanted to recognize that we are a valued customer and that they have not received any complaints to-date and hope to use our testimonial to inform others on the squirrel teeth sharpening potential disaster. Many of the overall product photos are featured in the middle of the woods, cemeteries, decks and pool-side. Where are the squirrels? 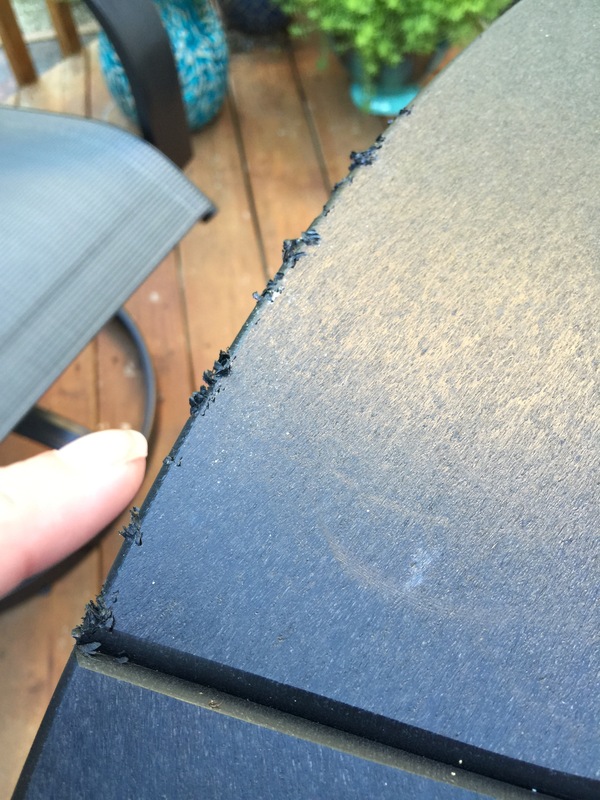 Our initial recommendation on squirrel damage like this is to “scrape” the boards. You can purchase a scraper from us for $7, or go to your local hardware store and buy a wood scraper for the about the same cost. Scraping will keep the color the same on the damaged areas, as opposed to sanding which makes the color chalky and very noticeable. 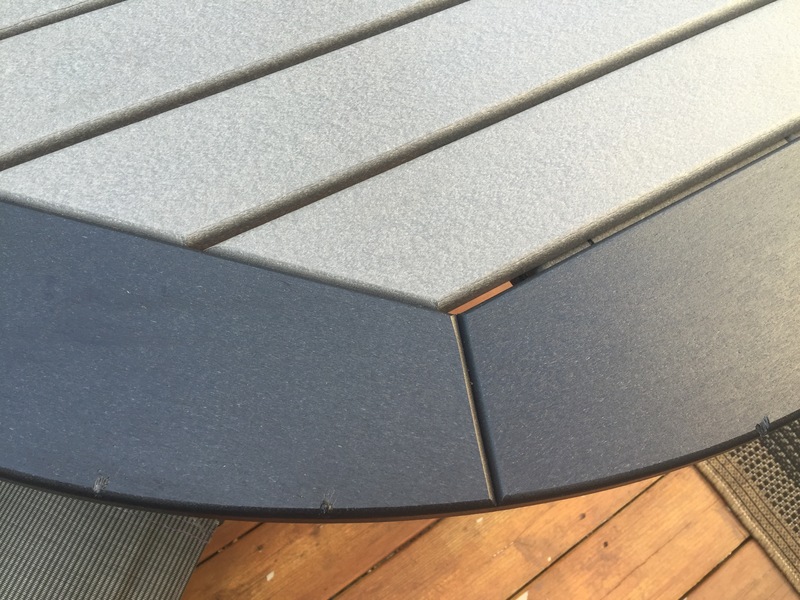 The boards on the outer frame of the table top are impractical and costly to replace because that frame is assembled, then it is routed as one piece and you cannot match the individual boards easily. There is also the time of disassembly and reassembly which is significant. We can sell you replacement pedestal braces, at a cost of $8.00. If you scrape the damaged area, you may find it to be acceptable. 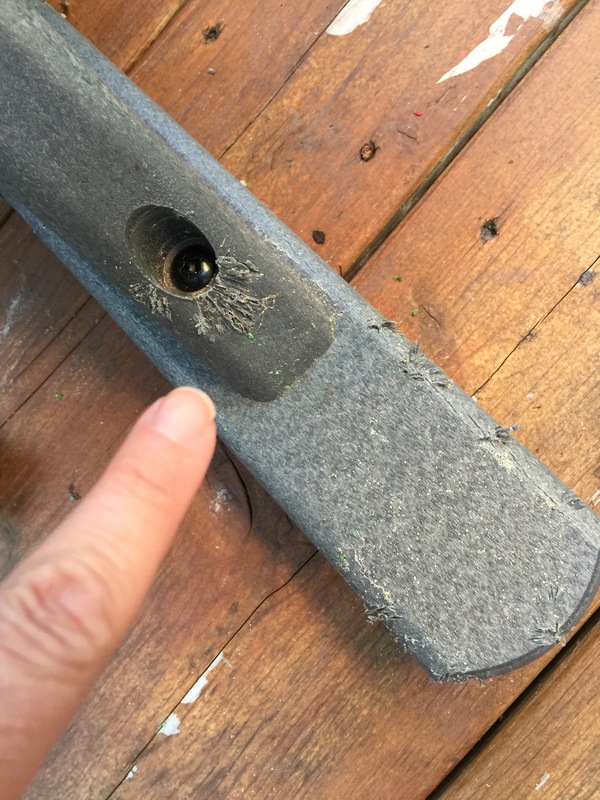 If you would like to try scraping the areas damaged by the squirrel(s), and would like to purchase a scraper from us, just let me know or give us a call and we will get one sent to you. 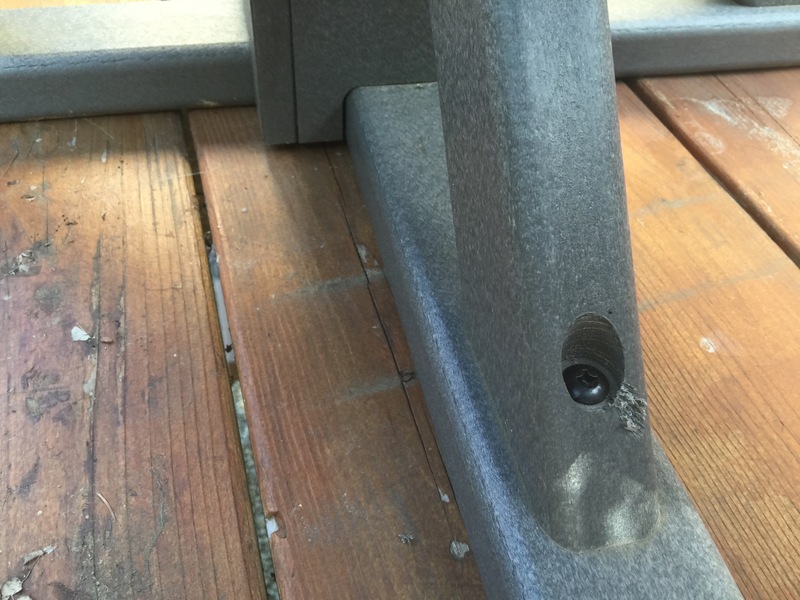 You can get some pepper spray from your local hardware store, to apply to the furniture, some of our customers have been successful with this, or, our final recommendation is to get the squirrels away from the house, because they need to chew on something to sharpen their teeth. 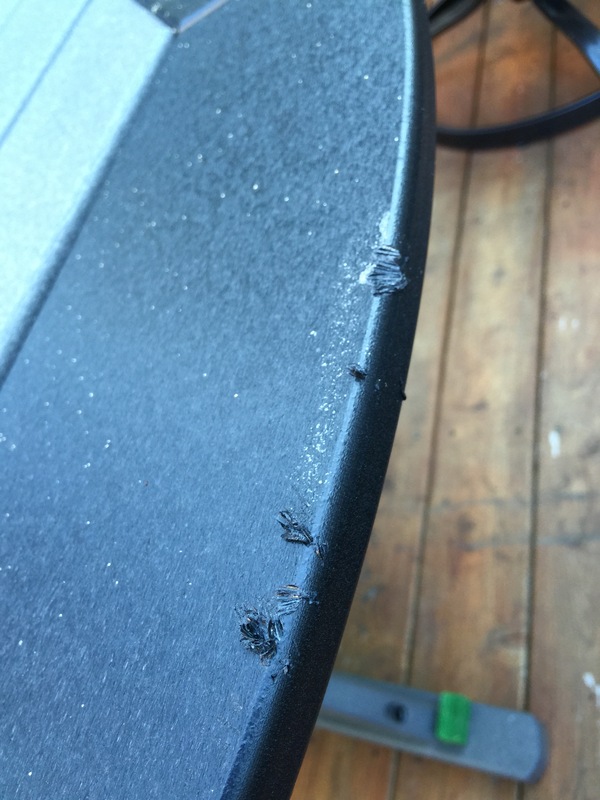 Steve and I smeared pepper all over our table and tinfoil for the little furry guys—but that doesn’t help the already damaged table and scraping to add to the list, not to mention the blind-sided faulty lifetime warranty. In the current state, we would never recommend the By The Yard company to anyone. 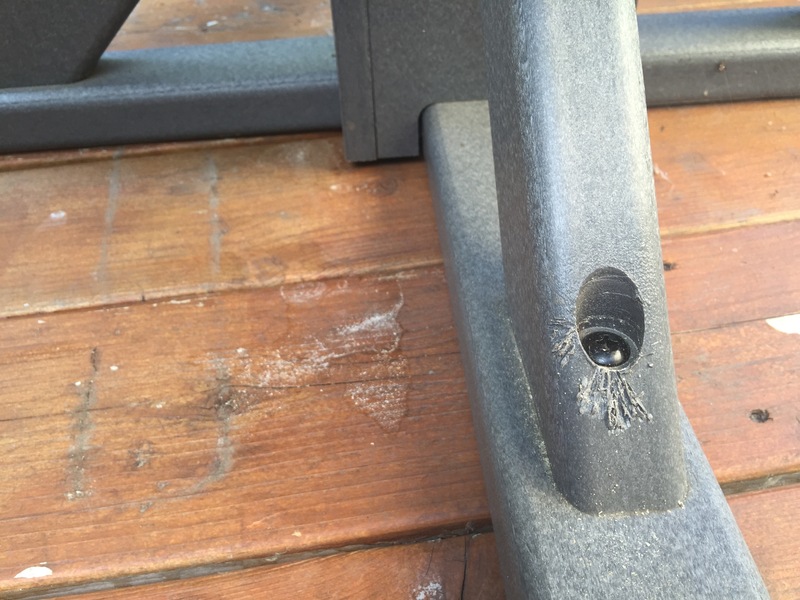 The pictures prove it—in less than a week’s time your new table is ruined. How would we have predicted that we had neighborhood furry friends wanted to come over and sharpen their teeth on our new milk jug furniture over just a few days? Being a new homeowner, investing in something we were very excited about, this situation still makes us sick. I consider Steve and I smart consumers and when it comes to reviews and educating ourselves on a products before buying—we trust others too. In this case, we will be updating social media By The Yard to reflect our Squirrelly experience. I do hope this can be updated in the future with a positive consumer result, but at this time please spread the word about this terrible investment and company. 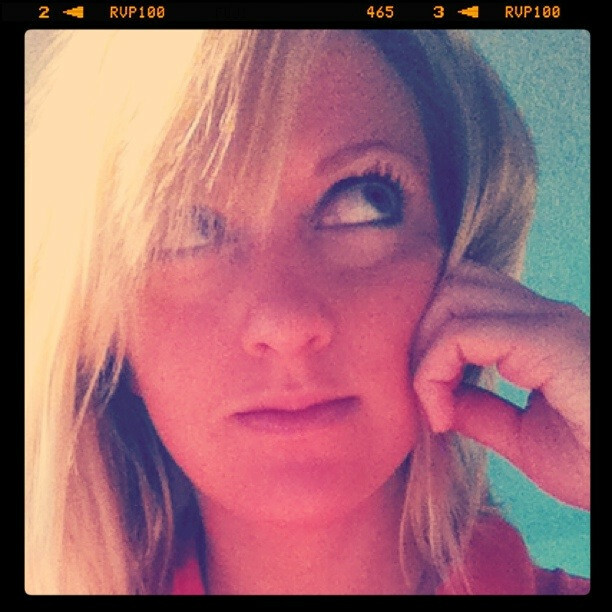 [UDPATE SINCE ORIGINAL PUBLISH DATE] We have not heard any additional solutions from By The Yard.